Australia's biggest and most important city doesn't have much of a history, but it is intriguing nonetheless. The aborigines arrived around 50,000 years ago and called the Sydney Cove area Warrang. There's not much historical evidence of their time here, although rock art is present in some parks, such as the Ku-ring-gai Chase National Park. When the first Europeans arrived and began documenting the primitive race inhabiting this vast continent they found that several tribes were settled in the area most of whom were isolated from each other even in dialect. Sydney's history in the main began when one Captain Cook sailed into nearby Botany Bay in 1770 on a recce of the island continent. He happened upon a few thousand aborigines living there, while, later on, Captain Arthur Phillip noted their 'manly' appearance after his arrival at Manly Beach. 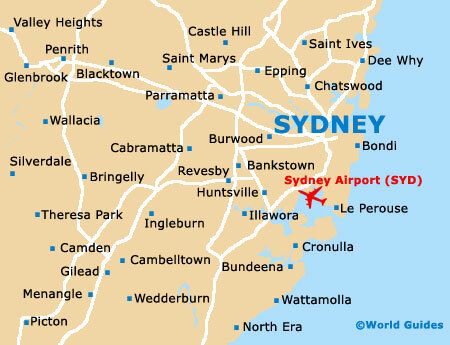 In fact Botany Bay, to the south and the present location of Sydney's airport, was the first area to be scouted but it was soon deemed unsuitable due to poor soil, lack of deep water and inconvenient topography. The British founded the city when they landed the First Fleet (first wave of criminals from England) in 1788 at Sydney Cove, where The Rocks district is found today. This fleet had departed England a year earlier and the arrival day, 26th January 1788, is marked as Australia Day. The city was named after the Viscount 'Sydney' of England, the then British Home Secretary. An obligatory penal colony was set up at Port Jackson on nearby Goat Island, while the settlement at The Rocks grew quickly. It featured alleyways and sandstone buildings, some of which remain preserved today as museums and hotels. The present location of the ferry quay sandwiched between the iconic bridge and Opera House would have been the centre of activity, while the nearby botanical garden was the breadbasket of the modest settlement. The Rocks is just north of the city and retains an air of yesteryear, with the rest of the city continuing at breakneck speed. 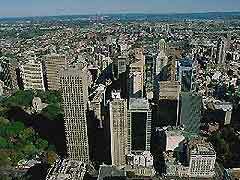 As well as museums, theatres and a market, noted structures include Cadman's Cottage and the Sydney Observatory. The Harbourfront Walk is especially popular. Into the 1800s, free settlers came to Sydney and lived alongside ex-convicts who had served their time. It was actually relatively harmonious, apart from the odd land-grab and rebellion - the most prominent of which was the 1808 Rum Rebellion that saw governor William Bligh overthrown. When gold was discovered in nearby Bathurst in the early 1850s, people from around the globe flocked here to seek their fortune. It was all quite short-lived, although many grand buildings were erected. The Sydney International Exhibition (1879) also put the city on the map, showcasing the Garden Palace in today's Royal Botanic Gardens. 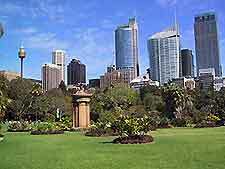 After joining the Australian Federation in 1901, Sydney became the capital of New South Wales (NSW) and was somewhat ahead of its time, being largely tolerant of society's nuances and even offering women voting rights. It was left mostly unscathed during WWII, although the Japanese managed to bomb Bondi and Rose Bay. By the 1930s the world famous bridge had gone up, opening the northern suburbs to rapid development. Europeans migrated here in their droves post-war, and especially in the '60s and '70s, when the economy grew exponentially. 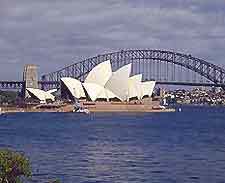 Many exciting structures appeared around this time, including the country's most iconic building, the Sydney Opera House, which was 14 years in the making and opened in 1973. The 1988 bicentenary saw much beautification of the city, including the remodelling of the now 'hot' Darling Harbour entertainment area. Another clean-up wave, and perhaps the city's proudest moment, came about for the lead up to the Sydney Olympics in 2000. Today, Sydney remains Australia's pre-eminent city - an impressive centre of the arts with a cool harbour and fantastic beaches.